Discover our most beautiful finds at the foot of Mount Guifeng, south of Xi’an. Start your adventure with the famous Buddhist temple of Caotang. With its pretty thatched roof, it is one of the cradles of the School of Three treatise. Along a dirt road, the oldest Nestorian church in China, a religion long forgotten, will appear before your eyes. A charming farm welcomes you for a typical lunch and a traditional distillery will open its doors to let you taste baijiu, the most consumed strong alcohol in the world. 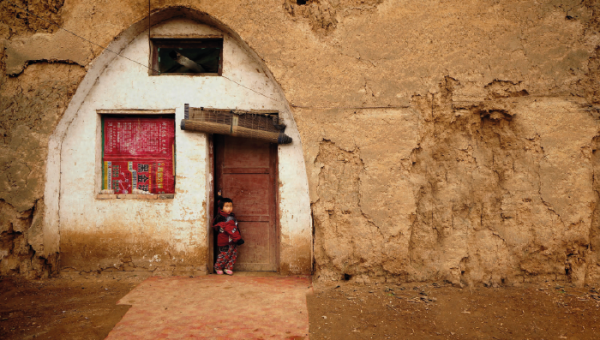 Take a short detour to a village dating back to the Ming dynasty before returning to Xi’an. CONTACT US: If you are trying to book a last minute ride within 24 hours or if you have any questions and just prefer talking to a human being we understand – you can email us at book@insidersexperience.com or you can call us at +86 138 176 169 75. We try to get back to everyone within 24 hours. Our vintage jeeps can accommodate up to 4 passengers from birth to 99 years old. If you are riding alone: 2,500CNY; for 2 passengers: 2,700CNY; 3 passengers: 3,600CNY and 4 passengers: 4,000CNY. 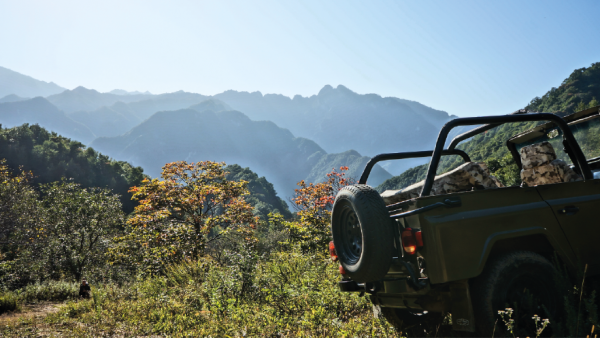 If you are more than 4 passengers, we will arrange extra jeeps at a price of 1,000 CNY per extra pax. As this is a private ride, you set the pace. Your insider will accompany you based upon what you want to see and how long you want to stop. And if you see something you like along the route, just yell STOP! Your wish is our command. Our rides can accommodate up to 4 passengers by jeep from birth to 99 years old. Below 12 years old, children must be accompanied by an adult. For safety reasons, you are not allowed to drive our vehicles. We operate this jeep ride everyday during the whole year. This ride lasts for 9 hours from 9am to 6pm (8:30am if you chose the hotel pick-up option). STANDARD MEETING POINT : Our rides start at the Train Bar in the Greenland Century Plaza. At the end of your ride, we will drop you back at this meeting point. CUSTOM MEETING POINT : Hotel pick-up and drop-off service comes at an extra cost of 300 CNY per jeep. Just provide us with your pick-up location during the booking process. A transfer service to/from the train station or the airport is also available upon request. We offer rides in english. However we can provide interpreter service if requested at an extra cost. Our rides are all inclusive. 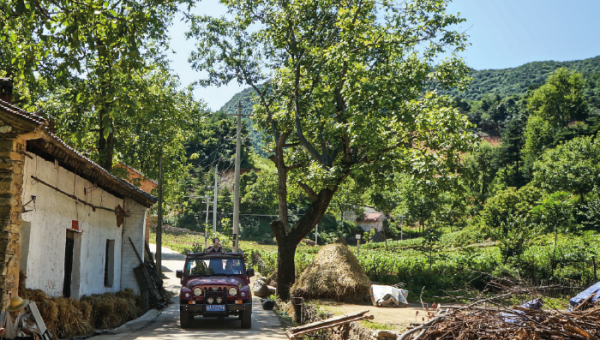 Knowledgeable insiders speaking the local language, sparkling vintage vehicles, a third-party insurance (covering each passenger for a maximum worth of 280,000 CNY), waterproof gear, baby car seat, site entrances, refreshing drinks and a savory local lunch for day rides. It excludes alcoholic beverages & gratuities. French champagne, souvenir kits for kids or adults, instant camera (polaroid) renting or mobile camera boosters (Selfie stick & Lens Set with fish-eye, wide-angle and macro lens)…we do offer a wide array of options to make your ride truly confortable and memorable. Just check them out during the booking process. In case of no-show or if you cancel less than 2 hours before your ride you will be responsible for the total amount of your ride. Bespoke, off the beaten path and exclusive, our all-inclusive ride are a once-in-a-lifetime experience. Go further away, with our multi-day expeditions in China or Morocco. Our rides are all-inclusive. We want you to truly enjoy the ride right from the start and forget about logistics or unexpected situations. Vehicle rental (driven by an insider), helmets for adults and for kids, entrance tickets, sun cream and bottles of water are included. For the day ride, a traditional lunch is included. Alcohol, tips and personal shopping are not included. Please note that the use of helmets is compulsory by law and should always be respected. Disposable hair nets will be provided for each passenger. Our helmets are kept in perfect condition, cleaned and disinfected after every ride. All our rides start in the Art district at the Banpo subway station on Line 1, exit C. The Ancient Quest rides start at the Train Bar in the Greenland Century Plaza. At the end of your ride, we will drop you back at this meeting point. If you wish, we can also come to pick you up at your hotel at an additional cost. Wear long-sleeved shirt, flat and comfortable shoes, pack sunscreen, sunglasses and your fully charged camera. Rain showers are a possibility, particularly in June and July. Make sure to pack a light raincoat but don't worry too much. Your insider will have rain gear for you should you forget, and the rain is beautifully warm if you want to get wet! For winter rides (December - February) bring a nice warm coat, boots or warm sneakers and a fully charged camera. The temperatures never drop very low but the humidity makes it feel way colder in the evenings especially. From a few months old to 99 years old, fun in the jeep is for all. Baby car seats are available, and a special itinerary can be tailor-made for our small guests. Kids below 12 need to be accompanied by one adult. Challenge us with a specific request is what we enjoy the most. All our rides are tailor-made according to your desires, just ask upstream so we can craft a memorable journey just for you. A set of options is also available to spice up your ride. Our rates are per person whatever their age. However, we do offer a 15% discount for kids below 12 years old. To write a review about your ride, go on our TripAdvisor page. and sign in/log in. Fill in the Write a Review form and Certify that your review is based on a genuine travel experience by selecting the check box, then press the "Submit your review" button. You can also leave a review on our Facebook page and post colorful pictures of your ride on Instagram with @insidersexperience . Traffic in China is often hectic and require some driving experience. Thus, we don’t offer a self-driving option in Xi'an. You’ll be in better hands with an Insider driving for you. For a self-driving experience, enquire about our expeditions by visiting www.insidersexpeditions.com or by contacting us. Our Jeeps can accommodate up to 4 passengers. Please note that there is no weight or length limitations. Yes, we can, as long as they are able to sit for the booked amount of time in a jeep. At Insiders, we use Stripe to process credit card payments on our website. Stripe is certified as PCI Service Provider Level 1 -- the most stringent level of certification possible. Here’s a list of other companies that use Stripe. Moreover, when you opt into saving your credit card with us, all storage of sensitive information (i.e., your credit card number) is kept in Stripe’s secure environment. At no point can we see or store your credit card number on our systems. We do also accept WeChat payments (WeChat id : insiders experiences). To receive a booking confirmation, it may take up to 24 hours in high season. If you shall need to cancel your booking before receiving the booking confirmation, we refund you with 100% of the fee. º If you cancel by writing at least 5 weeks prior to the ride, you will get a 90% refund. º If you cancel by writing 48 hours prior to the ride, you will get a 50% refund. º If you cancel less 48 hours before meeting time, no refund will be granted. In case of heavy rain we accept a cancellation 2 hours before the ride. As rain is falling a lot during summer in Xi'an, we are well prepared for it! We do have rain gears and we adapt our itinerary to limit the inconvenience. However, if you still decide not to start the ride, Insiders shall refund you with 100% of the service fee (minus bankfees), if you cancel before 2 hours in advance. After you place a booking, you should receive within 48 hours a variety of emails from us, which include Booking or Refund Confirmation emails and any responses from our team. There may be a number of reasons why you’re not getting these from us. º Your email software may be marking our emails as junk mail. To stop this from happening, please add book@insidersexperience.com to your email address book. º Make sure you typed in the correct email address when you contacted us. If after this you’re still having trouble, contact our team giving as much detail as you can about the issue and we will try our best to help.